The impending implementation of the value-added tax (VAT) will undoubtedly have many landlords and tenants scrambling to check their commercial leases for potential liability to VAT. The obvious question is, will the lease be a gross lease or net lease? Perhaps not so obvious when signing the terms for a new lease, or when midway through a current lease, is that landlords, tenants, assignees, subtenants and sharing occupants could all trigger a potential liability to VAT by undertaking certain acts or taking occupation. We will discuss these potential trigger. We mentioned above about a lease being a gross lease or a net lease. Simply put, a gross lease is where the rent is deemed to be inclusive of VAT, together with other expenses. As such, a tenant would pay the rent to the landlord on the basis that should any VAT be payable, the landlord would pay such sum from the rents received from the tenant. A net lease, on the other hand, would require the tenant to pay a separate VAT amount. Depending on how the net lease is worded, the landlord will need to invoice the tenant for the VAT element. A common practice when entering into a new lease or agreeing a lease extension is for the parties to agree inducements. Tenant inducements can come in a number of ways and may include rent-free periods, rent rebates, reverse premiums payable and landlords undertaking works. Thought should be given to inducements, and every inducement should be considered carefully. Where a tenant gives consideration for the inducement, such as undertaking the landlord’s works itself, this will trigger a requirement for the tenant to charge the landlord VAT for undertaking such works. Interestingly, if the tenant undertakes works on the premises, such as a fit-out or changes the premises from a shell-and-core state, these are not considered improvements and VAT duty will not arise. Irrespective of the length of a lease, a tenant may seek as much flexibility as possible throughout the term to counteract future market conditions. This could happen in a number of ways, including the ability to assign, sublet, share occupation or terminate the lease. The VAT burden will generally fall on tenants in these instances and there are numerous pitfalls to avoid. In instances of subletting, for example, a tenant will eventually become a landlord to the sub-tenant and should therefore ensure it invoices the sub-tenant for both rent and VAT. Where a tenant wishes to share premises with a group company, the tenant will remain the tenant and so will have to account for VAT for its group company. Arguably, group companies will also be “on the hook” to share the VAT liability, but the responsibility will ultimately fall on the tenant. On assignments, where a premium to assign is payable, or at lease expiry where a dilapidations payment is made to the landlord, this will trigger a VAT payment. The inclusion of a break option is something that a well-advised landlord or tenant should always consider when negotiating the terms for a lease. The parties may decide to include a mutual break option, or perhaps a landlord or tenant-only break option. Much depends on the bargaining strength of the parties at the time of discussing the heads of terms. An experienced lawyer would help to negotiate the inclusion of a break option to the advantage of the client, even if this was overlooked or disregarded in the heads of terms stage. Of note, however, is that break options may attract a break fee payable by the party exercising the break. In such cases, if a break fee is payable, the recipient of the break fee will have to invoice the other party for the VAT element on the break fee. 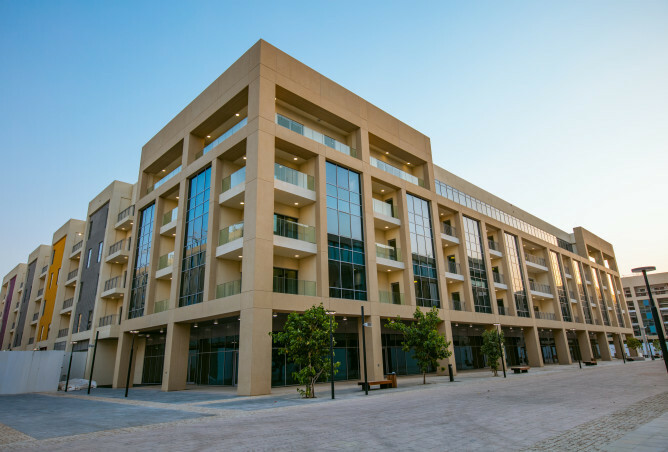 Whether a lease is already entered into or to be entered into, or if the property is in a GCC country outside of the UAE but owned by a UAE company or individual, we advise that a lease health check is undertaken. This will ensure that the terms are clear on VAT, and that a party is not unnecessarily exposed to a potential VAT payment.